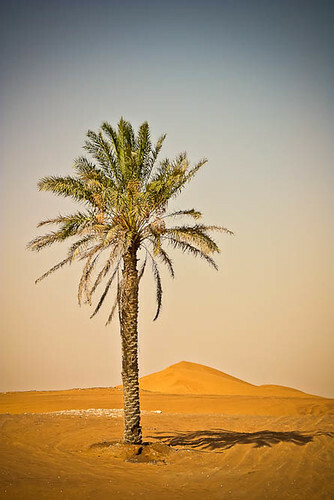 Date tree in the Dubai desert, United Arab Emirates. The bottom of this photo was actually road but I used Content Aware Fill in Photoshop CS5 to replace the road with the sand that you see here. It is an amazing tool in CS5 if used in the right situation.